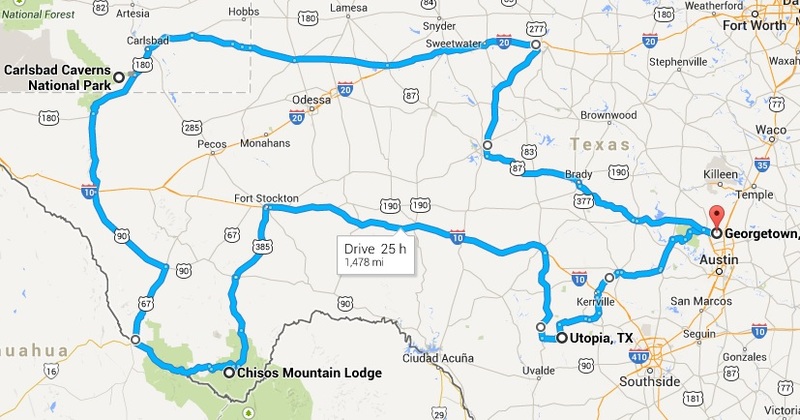 This entry was posted in Motorcycle Touring Logs and tagged Big Bend, Big Bend National Park, big bend texas, Buffalo Gap, Butterfield Stage Stop, Captain Shepard’s Inn, Carlsbad, Carlsbad Cavern, Carriage House, cavern, Chisos Basin, El Capitan, El Patio Restaurant, Ft. Chadbourne, Ft. Stockton, Gage Hotel, Guadalupe Mountains, Guadalupe Mountains National Park, Hallie Stillwell’s, Hwy 385, Hwy 54, Hwy 67, hwy 90, Hwy. 170, Johnny B’s, Junction, Lamesa, Marathon, Marfa, motorcycle adventure, motorcycle Big Bend, motorcycle ride, Motorcycle Touring, motorcycle travel, motorcycle trip, motorcycling, Movie set, national park, New Mexico, riding, Rio Grande, San Angelo, Shirley’s Burnt Biscuit, Stillwell Store, Texas, touring, travel, Van Horn, west Texas. Bookmark the permalink.